Katrina the Tester: No unit tests? No problem! * Don’t get stuck on unit testing dogma. * Embrace unit testing karma. I hadn't seen this before, thanks for sharing! Thanks for another great post Katrina, one problem that I've encountered is that developers confuse unit tests with product testing in that they believe that by writing unit tests and achieving an arbitrary code coverage number that the product is tested. Unit tests will only demonstrate that the code can function as intended. They are often a complex change detection mechanism that have no clear relationship to business value. This is particularly the case when unit tests are written after the fact. One change I'm trying to affect at the moment in my organization is to introduce a step where the dev & tester identify risks and how they plan to mitigate them before implementation begins. I'm hoping that this will allow us to have a more holistic test approach with most of our acceptance tests being written at unit level. This is a great example of the thinking that I was trying to provoke through this article. I wish you luck in getting your team to identify risks collaboratively and determine how to mitigate them through different types of testing. Sounds like a great way to get everyone understanding *why* they are testing. Kathrina, thanks for sharing, I always enjoy reading your posts. In this case we might have to agree to disagree on the "No unit tests? No problem!" concept. See my objections below, I would really appreciate your feedback. Everything can be done badly, for example unit tests, but also integration tests, the fact that some developers don't know how to write unit tests should not be the excuse for not having unit tests. 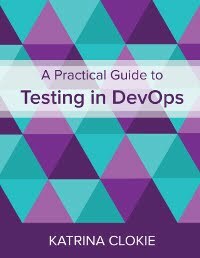 Who guarantees that the integration tests will be well written? If I think that when I have to modify some code that has no unit tests, I am frightened. What do I do? I change and push to master? Is it ok to break the pipeline continuously? Am I not disrupting the team? Also, having worked with a ton of teams that didn’t do unit tests and started doing them (because of me most of the times) I have observed a definite reduction of issues detected late. This is obviously only my experience and it don’t expect to be a fact for everybody. Hey Gus! Thanks for leaving a comment. The title of the post was a little facetious, but the argument I was trying to make about unit tests is that "their absence isn't always a red flag". I'd argue against introducing unit tests purely because there are no unit tests. You first need to understand what they're for. If you don't have any alternative ways of receiving fast feedback on the code during development, through static analysis tools or other types of testing, then that sounds like a valid reason. But if the benefits of unit testing are delivered elsewhere, then I would challenge what additional benefit unit testing would provide. You've written a great thought-provoking piece. I've re-read it a couple times over the space of a few days to get my head around your points. To me, and the types of software engineers I vastly prefer to work with, unit tests aren't optional. Period. You make some fine points that software sans unit tests can still provide value, but I think that same argument can be made for skipping testing all together--and the result is rarely, RARELY anywhere near as valuable as we'd like to delude ourselves. The skill level of our industry simply is not at the level of mastership regarding design, thinking, and execution. Ergo, we get teams thinking they can skip unit testing because "We really are good enough!" and in reality "No, no you're not anywhere near good enough." Moreover, I'm rather cautious about positions like this giving recalcitrant teams and managers yet another excuse to avoid doing the right thing. I run into this all the time for both developers and testers--seizing upon any rationalization to skip building high-quality, high-value software. I've written a number of articles and posts on skipping unit testing over the years--and far more brilliant, experienced folks have written as well--but you've prompted me to do some more writing on this as well. I don't agree with your position in general, but thank you for a thoughtful, well-written, provoking post! "The writing and running of tests is not a goal in and of itself - EVER. We do it to get some benefit for our team, or the business." Unit tests are one way to achieve fast feedback, testable code, and considered implementation. I don't believe that they are the only way in every situation. I'd rather that the team had a discussion about why they are unit testing, than adopt the practice by default without understanding the potential benefit. Key takeaway for me was not that we can do away with unit tests but the fact that any kind of tests (unit or integration) if they are merely present as a checklist then we may not get value from it. One of the things that interests me in this write up is that you mention is pushing the unit tests a bit right into the integration tests space. In my opinion Integration tests can mean a lot of different things and I am keen to understand what you mean when you say integration tests. I see integration tests as api tests using frameworks like Frisby.js as well as e2e tests.